The West Fork White River(WFWR) mitigation bank was constructed in the summer of 2015. The project is located west of Dead Horse Mountain Road in southeast Fayetteville, Arkansas. 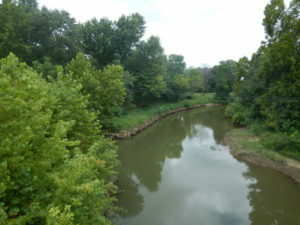 The mitigation bank provides both stream and wetland mitigation credits to United States Corps of Engineers permittees whose project create unavoidable impacts to waters of the United States. 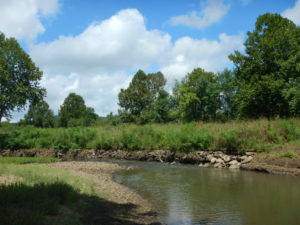 The Watershed Conservation Resource Center (WCRC), along with conservation-minded partners developed a Prospectus for establishing the bank in September 2012; the bank was formally recognized with a signed Banking Instrument in August 2014. The mitigation bank seeks to create and enhance aquatic habitat, stabilize streambanks, restore riparian areas along the river and its tributaries, and preserve and restore wetland areas. 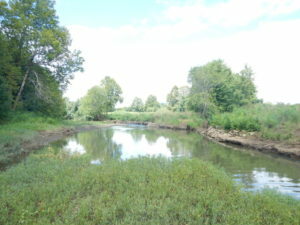 To achieve this objective, the WCRC developed a mitigation plan that restored 1,500 feet of the WFWR using Natural Channel Design Principals, in addition, restored and preserved 15 acres of unique wetland habitat in the WFWR floodplain. In 2017 the project site entered its third growing season. After several significant flooding events, including floods that exceeded bankfull conditions, the site has required minimal channel maintenance. Native vegetation planted at the site has begun to flourish and on-going vegetation management including new plantings, as well as invasive species control, continues to promote and ecologically diverse riparian landscape. Based on post-construction surveys, sediment and nutrient loads to the river have been reduced by at least 96% throughout the restoration reach. Approximately 1,800 tons of sediment and 1,200 lbs. of Phosphorus are kept out of the stream annually as a result of the restoration work conducted at the site. 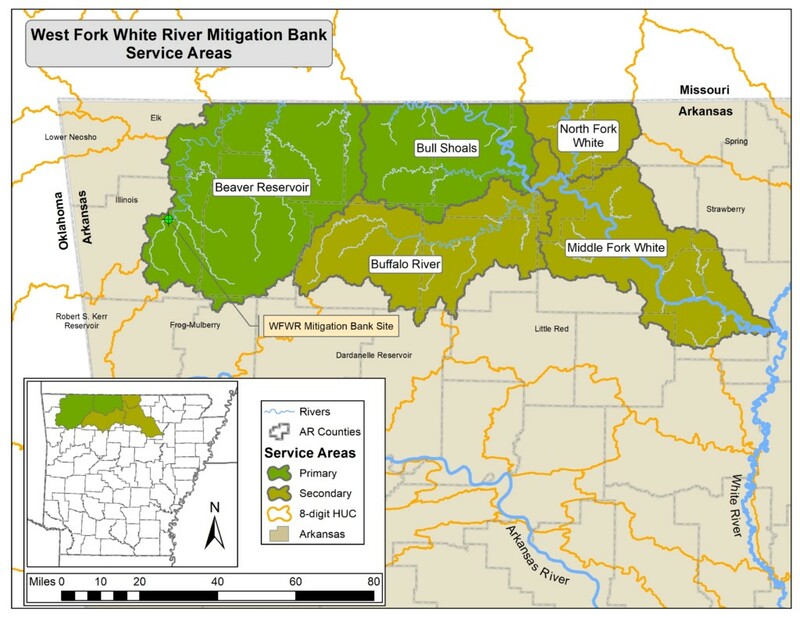 The WFWR mitigation bank services the Beaver Reservoir and Bull Shoals hydraulic unit codes. 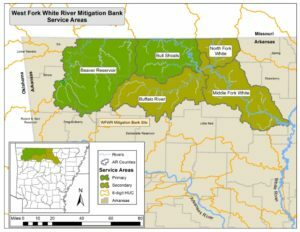 Purchases from the WFWR Mitigation Bank are used to support expansion of ecological restoration throughout the Upper White River basin, and to provide a source of maintenance funds for previously constructed stream restoration projects.